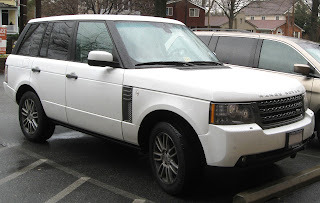 The Range Rover (L322) (usually known simply as the Range Rover) is the third-generation Range Rover model from British car maker Land Rover. It was introduced in 2002. Planned and developed under BMW ownership, the vehicle was to share components and systems (electronics, core power units etc.) with the E38 7 Series. Its successor, the L405, was announced in August 2012 and unveiled same year at the Paris Motor Show. 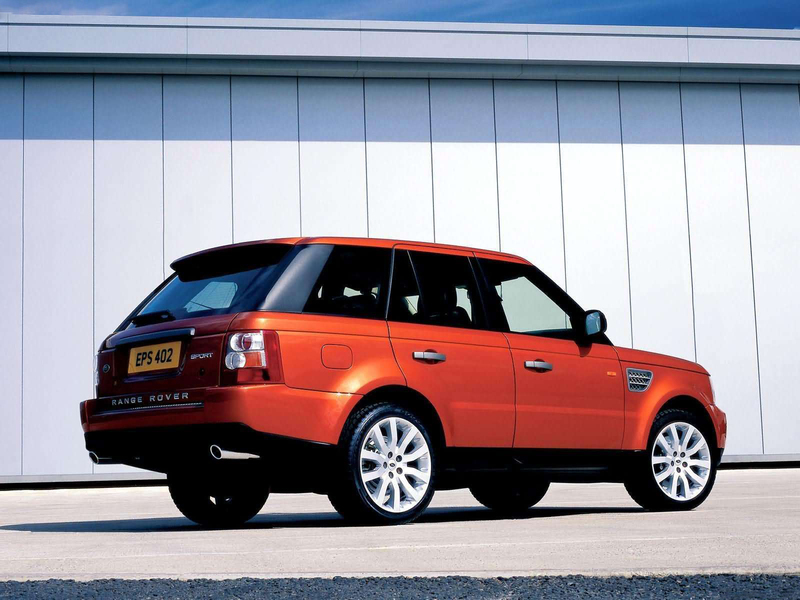 The third-generation Range Rover was designed to accommodate BMW's M62 V8 engines for future models. The manual transmission was dropped entirely, leaving only the automatic transmission. The E38 7 Series electronics system were being phased out during the development of the third-generation Range Rover, and being replaced with the electronics from the BMW E39 5 Series. The entertainment system (Radio Function, Navigation System, Television and Telecommunications systems, as well as the automotive computer bus system) are identical with the BMW E39 5 Series. 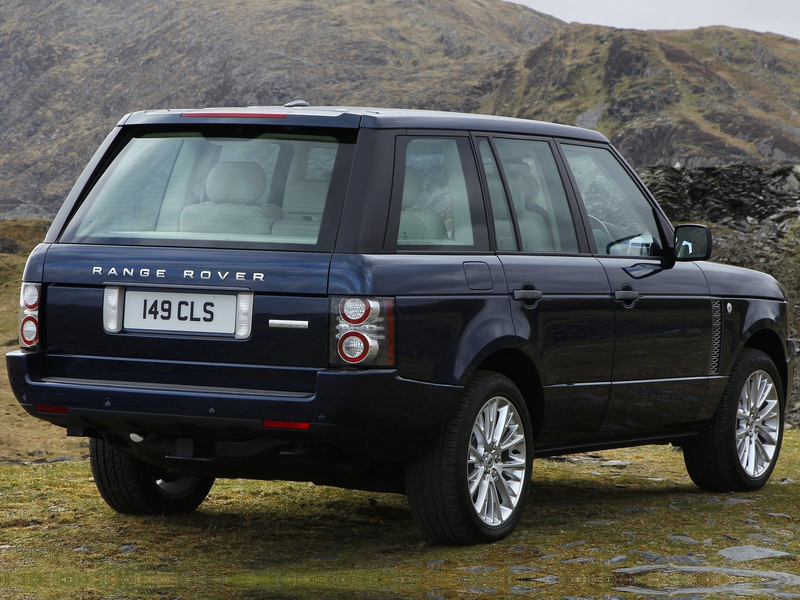 The third-generation model Range Rover can be upgraded with the newest BMW technologies. 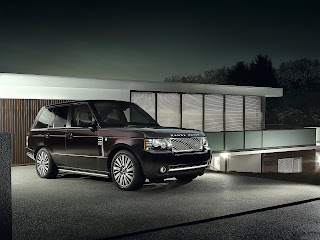 At launch, standard features of the US-specification Range Rover included air conditioning with tri-zone climate controls with interior air filter, power tilt/telescopic leather-wrapped steering wheel with radio controls, cruise control, memory system, leather upholstered twelve-way power driver seats, ten-way power passenger seat, power sunroof, a premium sound system with six-disc CD changer, navigation system with voice activation, rearview camera, wireless mobile phone link, universal garage door opener, and outside-temperature indicator. Options included 14-way power heated/cooled front seats, DVD entertainment system, and upgraded leather upholstery. The design has a monocoque (unibody) construction with four-wheel independent air suspension. Air suspension allowed variable ride height and achieved similar axle articulation to the previous live axle design. This retained off-road abilities while improving on-road performance. 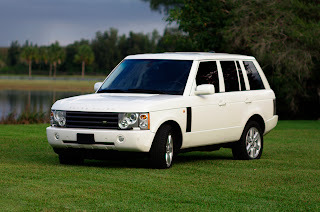 The new Range Rover's introduction in late 2002 as a 2003 model for the North American market resulted in the Range Rover and Ford Expedition (also new for 2003) being the only two SUVs in the full-size sport utility class with four-wheel independent suspension systems at that time. 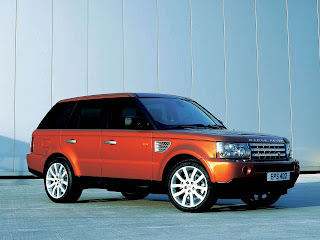 By the time of the launch, Land Rover had been sold to Ford in 2000, as part of the splitting up of the Rover Group. As a result, the initial engine derivatives were not included in the sale. 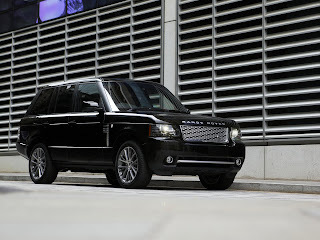 At the 2005 North American International Auto Show, a major update of the Range Rover was unveiled, with the base model using the LR3/Discovery 3 engine, and a premium model using a supercharged version of the Jaguar 4.2 litre V8 developing 400 hp (298 kW) — the same engine slated for the new Range Rover Sport (the RRS model uses a detuned variant making a total of 389 bhp (290 kW; 394 PS)), scheduled for introduction about the same time (mid-2005) as the updated Range Rover. The engines are aluminium alloy units, with advanced torque-based engine management system, drive-by-wire throttle control, and variable camshaft phasing (on the 4.4 litre version). The Range Rover's exterior was updated for 2006 along with the BMW V8 replaced with a Ford unit. The new engine choices were Jaguar's AJ-V8, with 4.4 litre 300 hp (220 kW) or 4.2 litre 400 hp (300 kW) supercharged variants. This new Range Rover was officially presented at the 2005 North American International Auto Show and released in summer 2005. From the diesel engine of the 2006 model (at this time still the BMW six-cylinder unit) to the supercharged V8, the car could reach 60 mph (97 km/h) from 14.8 seconds or as little as 6.5 seconds and has a top speed from 110 mph (180 km/h) to approximately 130 mph (210 km/h) (governed), respectively. In addition to the engine change, the 2006 Range Rover is equipped with an updated "infotainment" system. This includes a touch screen with on and off-road navigation, radio, CD, Satellite Radio (US), telephone, rear view camera, a wireless video camera system and other additional features all accessed via the same user interface. The audio system is Harman Kardon Logic 7 surround sound. 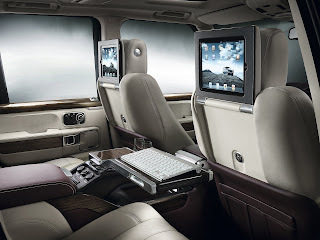 Also available is a DVD rear seat entertainment which is fully integrated. This system is linked by an industry-standard fibre optic network known as Media Oriented Systems Transport or MOST and an electronic network system known as CAN. 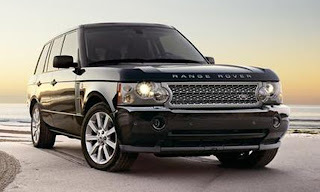 A similar system is also used on Land Rover Discovery and Range Rover Sport. 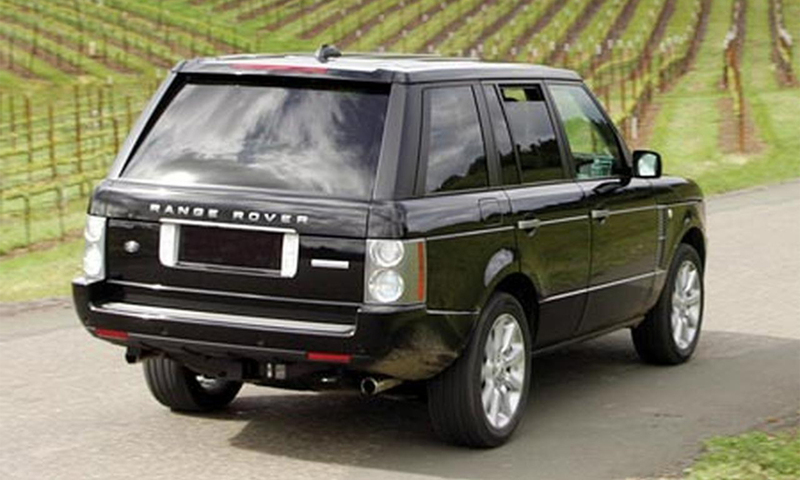 For 2007, all of the Range Rover's changes were mechanical or interior. 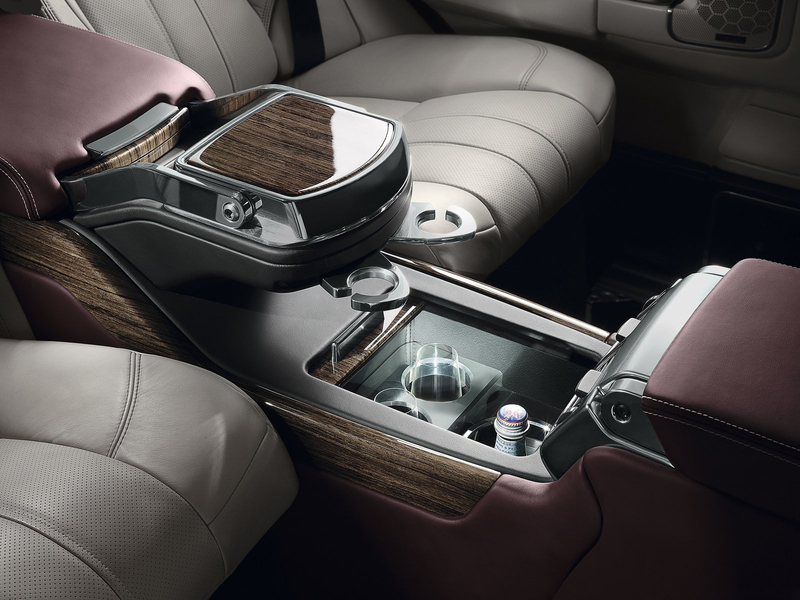 On the inside, the hidden folding cup holder that popped out of the centre console in previous models was replaced by a simpler and more durable in-console design with sliding covers — similar in concept, but higher quality, to those in the Range Rover Sport. 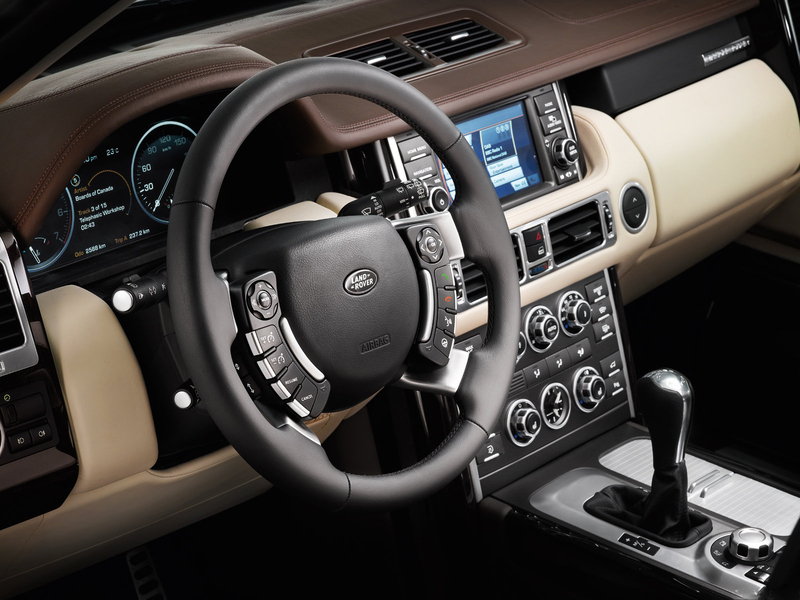 The ignition switch was moved from the lower part of the centre console up to the dashboard, next to the steering wheel and the Range Rover received the Range Rover Sport / LR3's Terrain Response system as well as a redesigned four-wheel drive control panel. The handbrake is now electronic. Additionally, the seats differ from the old style, slightly resembling the new Range Rover Sport with cooling fans optional on the HSE and standard on the Supercharged. Heated seats are standard across the board and the premium seats from the BMW era are no longer available. The HVAC system was also updated with more vents and quieter operation. That, along with the acoustic laminated windscreen lower noise. An increase in interior storage is mainly attributed to the new split-dual glovebox. 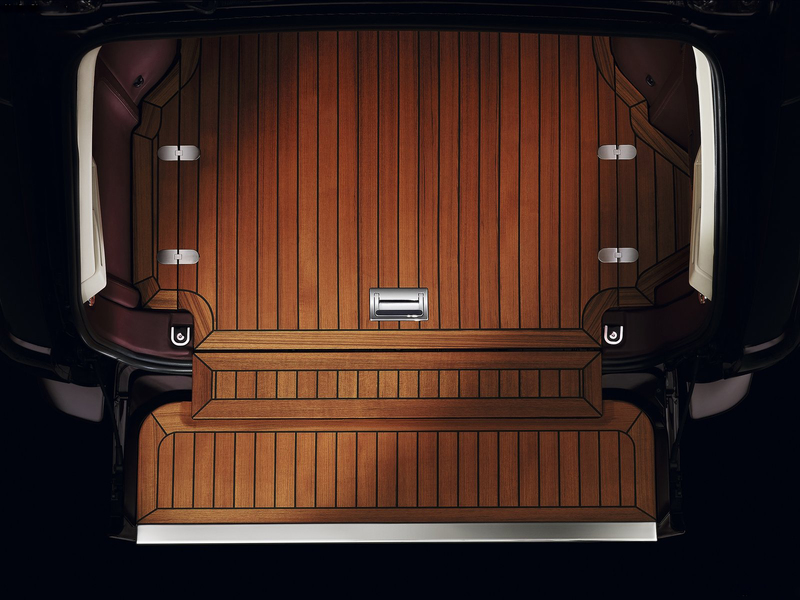 And then in a return to original Range Rover styling, more wood inserts have been added to the doors and centre console. Mid-way through production of the 2007 model (around production date of January 2007) the style of the key was changed from the BMW design to Land Rover's current "switchblade" type. The BMW M57 diesel engine was replaced for 2007 with a Diesel engine developed by Ford paid for by Land Rover at its Dagenham Diesel engine design facility and the Gaydon design centre for Land Rover. The 3.6 litre AJD-V6. This engine develops 272 hp (203 kW), far more than the 177 hp (132 kW) of the previous engine, and so is better capable to deal with the weighty vehicle. 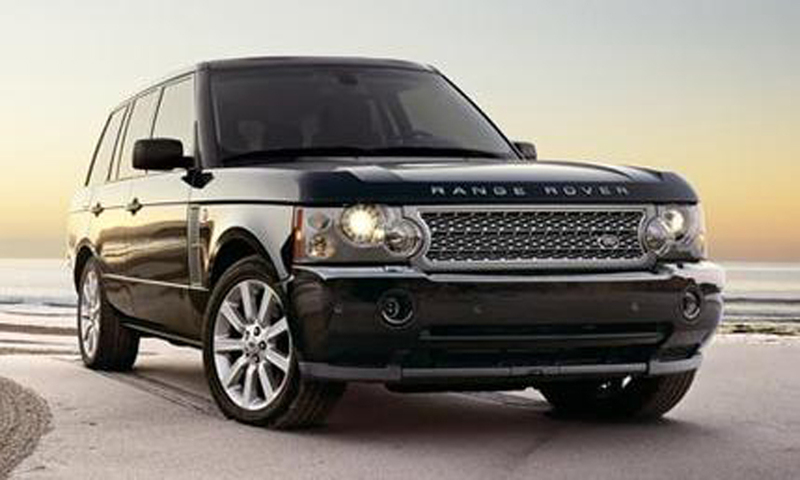 Other changes for 2007 include better brakes, a revised suspension, and Land Rover's Terrain Response system. Supercharged Range Rover's will also use an electronic rear differential. The interior was also refined, with optional cooled front seats and more cargo capacity. 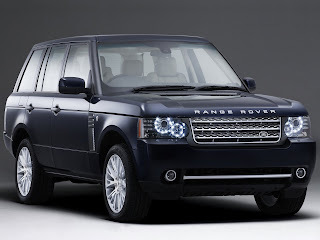 For the 2010 model year refresh, the Range Rover gets an updated exterior grille, a multicamera vision system, bumpers, LED head/tail lights, two new engines, and new features. It was unveiled at the 2009 New York Auto Show. The interior of the Range Rover received a minor facelift, consisting mainly of redesigned and repositioned switchgear (which saw many of the originally BMW era designed items updated or replaced), along with new options never before available for Range Rover. The 2010 Range Rover also gained new visual display units as also seen in the new for 2010 Jaguar XJ (X351). This change consisted of a 12-inch TFT LCD virtual instrument panel, which replaces the conventional cluster design — instead 'virtual' gauges are displayed where physical analog gauges were previously. This allows various sets of information to be displayed as required — for example navigation and map information can be displayed instead of engine readouts, whilst when one of the off-road driving modes is selected on the Terrain Response system the 'gauges' are reorganised to provide space to display the schematic of the vehicle's suspension, steering and transmission systems. The other display unit is fitted to the centre console and uses a bi-directional screen to show different images depending on viewing angle (may not be available in the US). This allows navigational information to be displayed to the driver, whilst someone in the front passenger seat can use the same screen to use the onboard DVD player at the same time, for example. This system also contains a state-of-the-art multi-camera system from Valeo Vision Systems in Ireland, which allows the driver to see around the vehicle during manoeuvres and which contains multiple overlays and views. 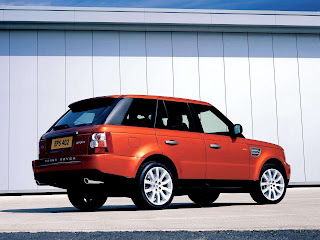 The 2011 model year Range Rovers include minor styling changes, improved interiors and an upgraded 4x4 system as well new optional packages. A new 4.4 litre TDV8 diesel engine will become available with a new ZF 8HP70 eight-speed automatic transmission. There are also new leather and wood colours, as well as reclining rear seats with winged headrests. A new Autobiography Black model features a different grille, Barolo Black paintwork, and a choice of Jet/Ivory or Jet/Pimento interiors. To celebrate twenty years in North America, Land Rover produced the 20th Anniversary Edition Range Rover, of which only forty were produced. 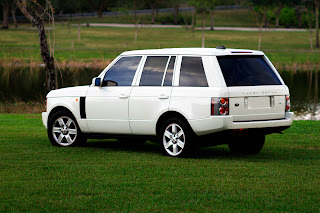 Each vehicle is a supercharged Range Rover in a special pearl white paint with "Diamond" split-spoke 20-inch wheels and a unique, two-tone interior. Badges on the tailgate and door sills denote the vehicle as such and lists its production number out of the 40. Only one of each model was distributed per dealer and the dealerships were chosen in a lottery. The 40th model was auctioned at a silent auction to benefit charity. This was a UK spec production run, with 35 cars finished in Claret coachwork with 2 tone claret/jet interiors. The specifications were based on the Vogue SE and fitted with the 4.2 litre supercharged 400 bhp (298 kW; 406 PS) Jaguar V8. 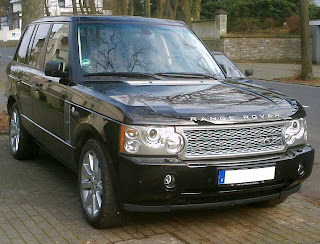 An armoured Range Rover Vogue was developed by Land Rover Special Vehicles in 2007, in cooperation with Armour Holdings Group. The vehicle was certified for European B6 ballistic protection standard. It includes side blast and under floor grenade protection, uprated suspension, handling and braking system, wheels fitted with run-flat tire system, and fuel cut off override. Optional security features include tinted windows, anti-tamper exhaust, and intercom. Unveiled in early 2010, the Holland & Holland edition Range Rover is billed as an all season luxury supercar. It is not an official Land Rover limited edition, the model is produced by Overfinchusing a standard Range Rover furnished with unique features using Holland & Holland as design consultants. Supplied to Overfinch unfurnished and sometimes unpainted, when complete they can be maintained officially through any Land Rover dealership. The cars can be finished in five unique colours including Tintern Green, a famous Holland & Holland colour; the cars can also be specified with two-tone leather and extended walnut trim, which can be colour matched to a customers gun. Features unique to the Holland & Holland include a bespoke rear console and refrigerator including power outputs and storage for branded crystal tumblers. In the boot, all Holland & Holland cars have a gun box fully furnished and including a drinks cabinet. 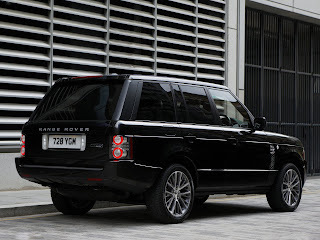 Either the 4.4 TDV8 or 5.0 Supercharged engines can be chosen, both with extra power, the cars also feature a modified 'Aero 3' Overfinch body kit to distinguish them from other Range Rovers. A special edition produced wholly by Land Rover. In the front, the car is little different to a standard Autobiography, more wood finishes are offered as are a few unique trim pieces. The difference is in the rear cabin which is furnished with two iPads, a fixed armrest with metal laptop desk and electric reclining, climate controlled seats, a refrigerator. The car can be ordered in two colours, with 20 inch wheels, body coloured door handles and smoked grills and gills. 500 cars were produced. Last updated on 14 July 2013 at 11:49.